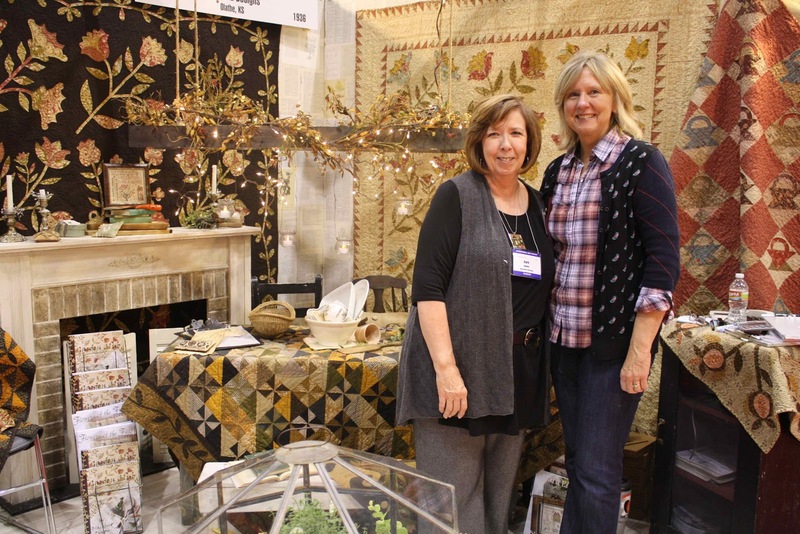 Barb Adams and Alma Allen’s love of textiles is deeply rooted in connections: connections to the past, connections to stitching friends, and connections to one another. Alma met Barb when she took an appliqué class from Alma at a Kansas City quilt shop. Right away Alma saw that Barb had something special. “I loved her color sense and encouraged her to design,” says Barb. As time went on, the two women joined forces to form Blackbird Designs. In 2001, they took their patterns to Quilt Market, and soon thereafter designed their first line of fabric for Moda. Before she started quilting, Barb was an avid cross-stitcher, and met regularly with a group of friends for evenings of stitching, conversation, and laughter. The group loved the look of antique samplers and would overdye floss to make it look older and overdye samplers with tan Rit dye to “age” them. Barb was frequently inspired by the work her friends were doing and they encouraged her to expand on their designs. She shared this love of old-time samplers with Alma, and the two incorporated cross-stitch and rug-hooking designs into their repertoire. Today, quilting, cross-stitching, and rug-hooking all are part of Blackbird Designs creative output. 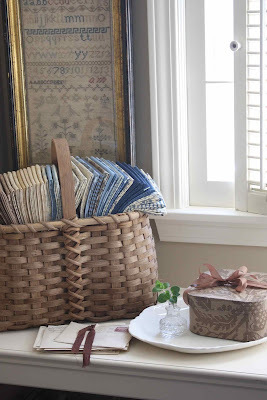 Both women also love antiquing, and the discovery of an old sampler often inspires myriad projects. A sampler stitched by Maria Selby Humphrey in 1831 was the basis of a cross-stitching book with patterns for samplers, a pin drum, and hooked top for a wooden box. Alma admits to enjoying cross stitch nearly as much as quilting. 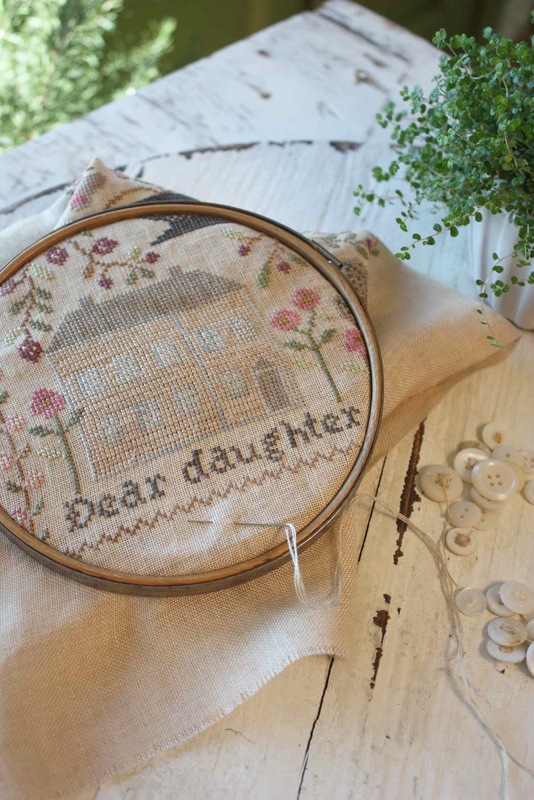 In part, she says, it’s because she transforms antique samplers into personal records: one sampler she stitched for her daughter, for example, recorded her maternal line back to the 1700s. Introducing her grandfather’s name into another sampler resulted in spontaneous thoughts of him while she stitched. “In the end, it became a really touching piece to work on,” says Alma. Sampler imagery often finds its way into the Moda fabrics Barb and Alma design and their newest line is no exception. Nature’s Basket, a warm combination of chambray blues and earthy browns, will make its debut at spring Quilt Market in Portland. Their love of an antique vibe doesn’t end with their patterns and fabric. Lately, Barb’s taken vintage crocheted tablecloths and bedspreads with spots or stains and overdyed them. “We love them on the bed or table,” she says. 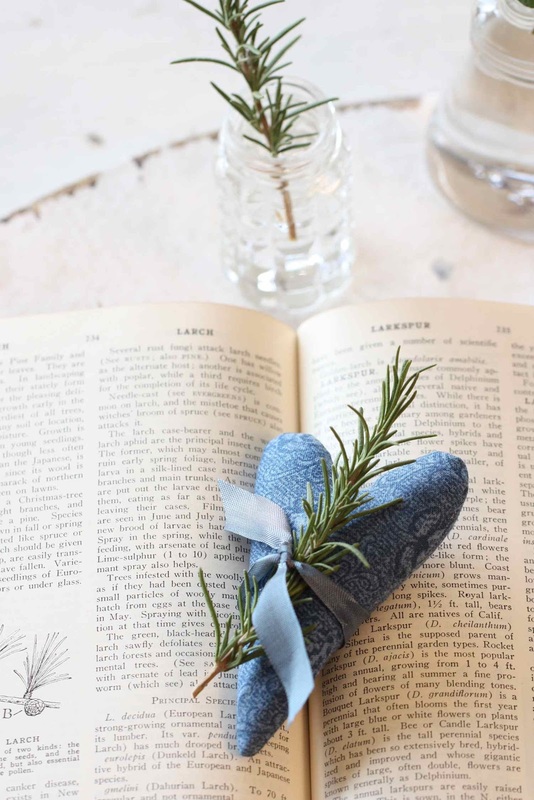 “They’re a great accent with bed quilts and fun with our vintage dishes.” And Alma’s been rooting herbs in vintage glass jars. 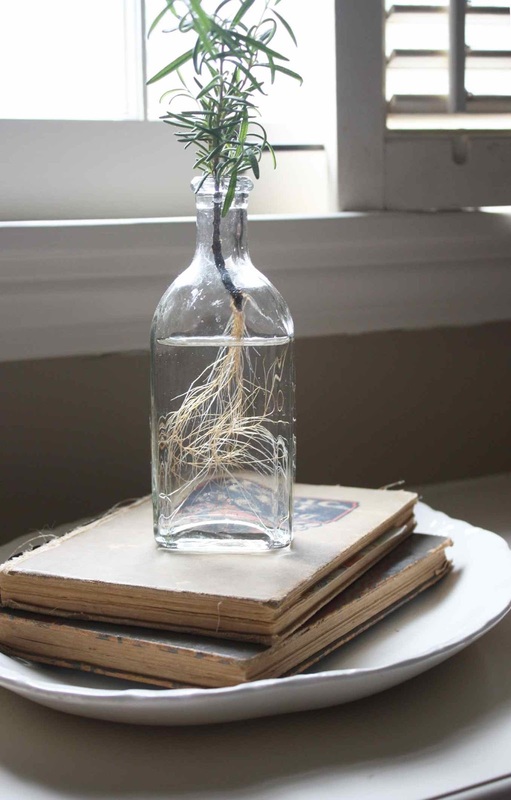 “It’s a great way to welcome spring and start new plants for the garden,” she says. Connecting with the warmth of the past and bringing it into 21st-century homes continually inspires Barb and Alma. Am anxiously awaiting the new book and fabric line. I am in the process of hand quilting Evening Bloom right now. This post hit a homerun with me! I used to cross-stitch repro samplers before getting into quilting. And used to have a rather large herb garden in PA. 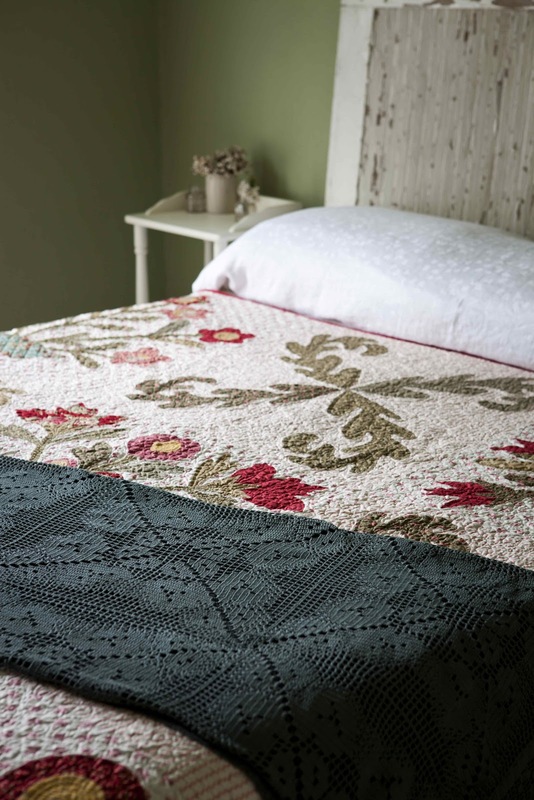 I love the overdyed bedspread! I love everything BBD- looks like more treasures! Can´t wait to play with their new line.I love their designs! So much talent and they have a great gift and they get to share it with the world. Very excited about the new book and fabric line! Very EXCITED!